The tv tower – from my office balcony. 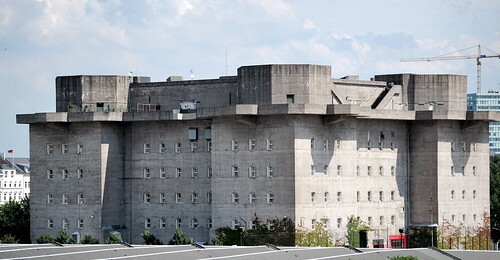 WorldWarII Bunker- right across my desk – nowadays it accomadates music rehearsal rooms and a big music store. Playing with Glimmer Mist ! Love how this sight in the hammock- LOL. Wishing you an amzing sunny sunday!